The new drinks cabinet in walnut and steel includes a wide internal drawer, revealed once the cabinet is opened. The wild grain selected for the front matches the front of the pull-out serving shelf, also revealed once the doors are opened. The drawer bottom is lined with black 'Cosmopolitan' leather from Yarwoods. #LondonPlane #Coffeetable prototype is complete & looking slight and unassuming in the morning sun. The #spalting frame looks great but the top is dull and muddied. A new vibrant, tigerish #lacewood top is needed. 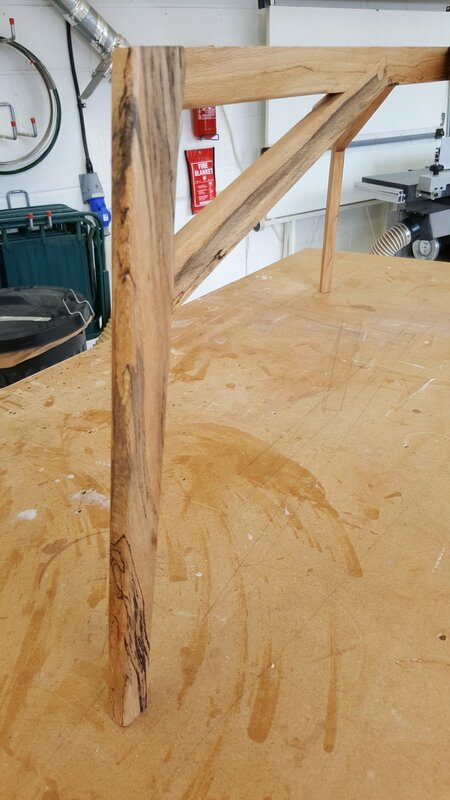 Leg frame of the #LondonPlane #Coffeetable has two coats of regular Osmo to bring out the rich complexity of the #spalting whilst the fine #lacewood top is finished with Osmo Raw. 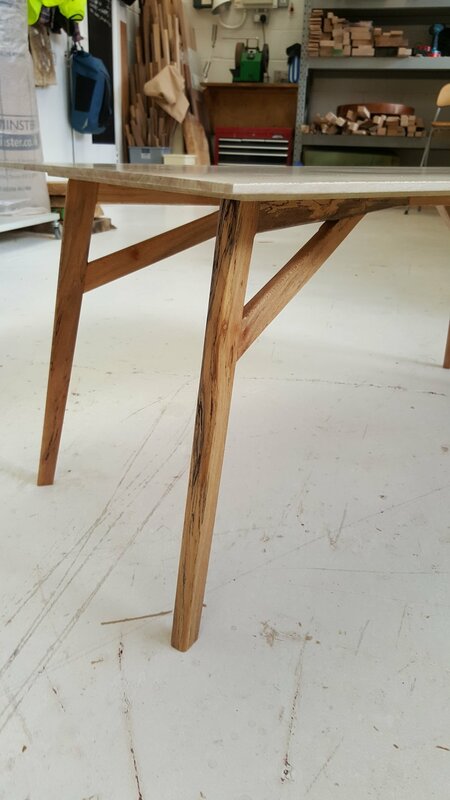 #spalted leg frame for #LondonPlane #Lacewood #coffeetable is planed, scraped & sanded & ready for oil. I commissioned Chris in 2013 to create a cabinet to complement the Arts & Crafts period features of our sitting room. I was impressed with how he interpreted the brief and took cues from the room to create a range of quite different designs for us to consider. 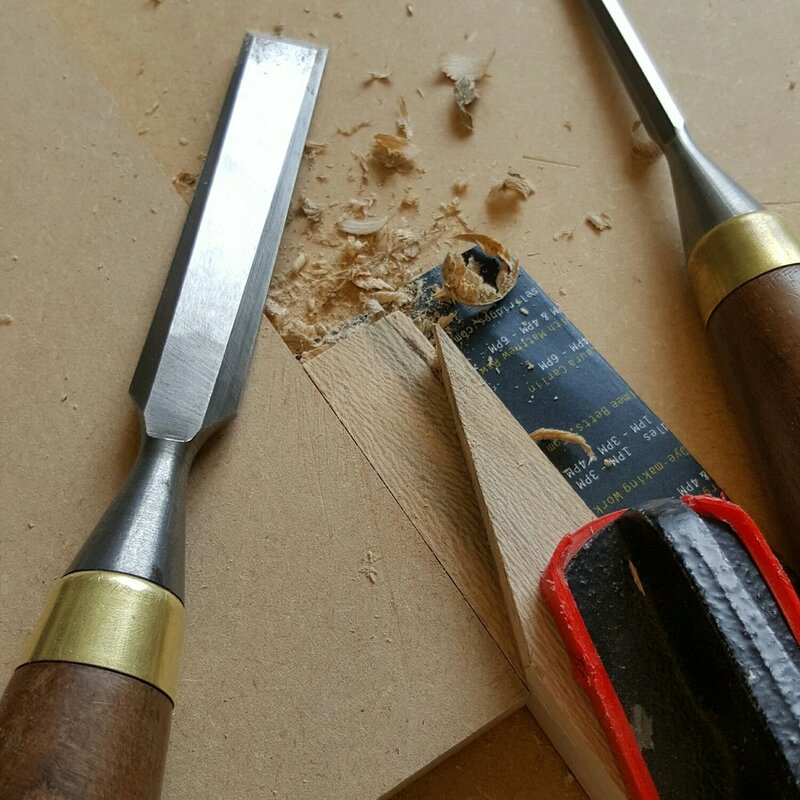 As an amateur woodworker myself, I thoroughly enjoyed the subsequent development process, which was made fun by Chris' relaxed and collaborative approach. The final piece sits beautifully in the room, echoing the design of the fireplace. 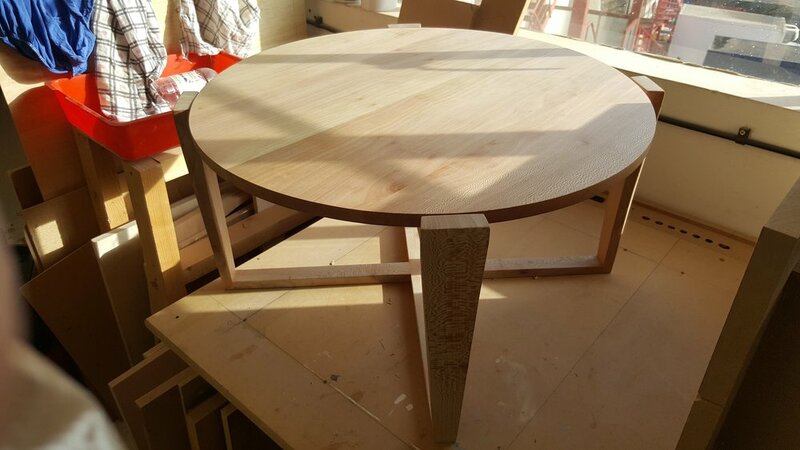 We are delighted with the quality of the materials and the craftsmanship and I have no hesitation in recommending Chris for bespoke furniture commissions. 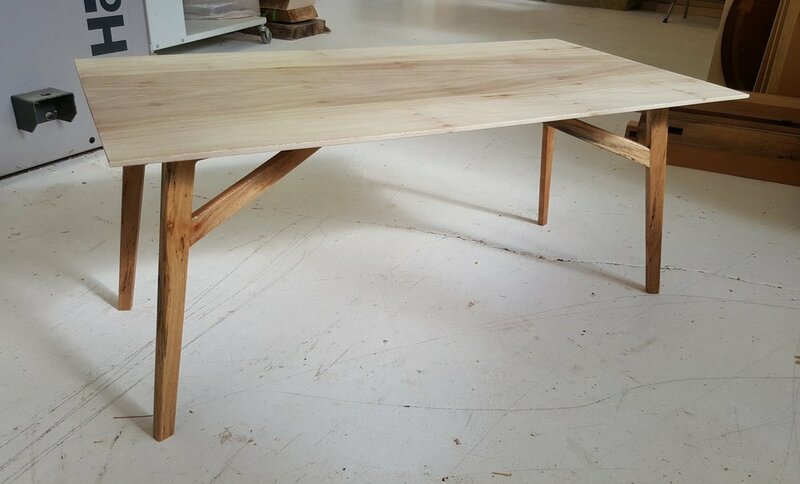 The 8mm, super thin top for the #lacewood #coffeetable is actually 20mm in centre. That's magic!